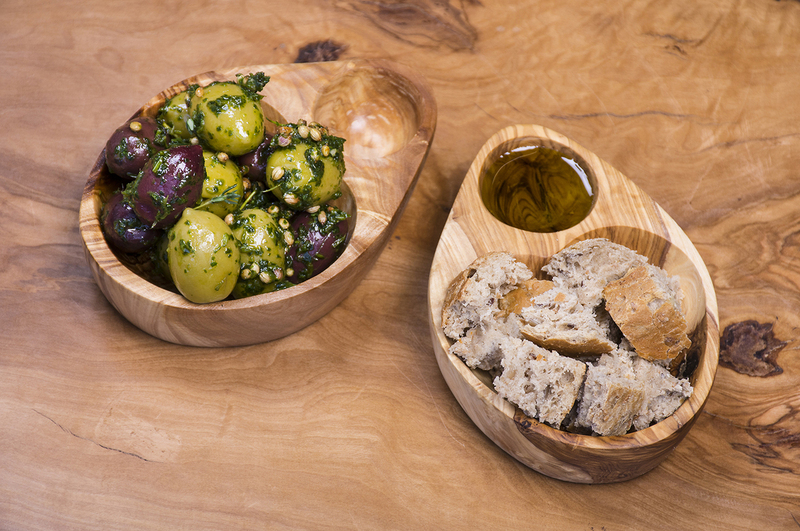 These handmade olive wood dishes are a beautiful way to serve your olives or bread and oil. The product you receive may differ from the image shown as they are all handmade and no two dishes are the same. To keep your olive dish in top condition, rub a small amount of olive oil into the wood every few months.